A Step by Step Guide to Obtaining WAEC GCE or WASSCE Nov/Dec Exam or WAEC 1st or 2nd Series. Please note that WAEC GCE is the same called WAEC Nov/Dec or WASSCE Private Candidates exams 1st and 2nd series. More on this clarification has been covered in the post, "WAEC: 13 Answers to Students' Questions on West African Examination Council". Intending candidates for the West African Senior Certificate Examination (WASSCE) for Private Candidates, 2018 – Second Series are hereby informed that the registration will be online. After obtaining the Registration PIN, candidates should also note that the registration procedure has been designed to accommodate a biometric feature that will be used for validation at the examination centres. Candidates are expected to pay a registration fee of Thirteen Thousand, Nine Hundred and Fifty Naira (N13,950) only, at branches of any of the following banks or any accredited agent and obtain the Registration PIN and Information VCD. In addition, a candidate will be required to pay five hundred naira (500.00) commission to the banks/ accredited agents. A candidate who wishes to register for the examination after the close of entries may be accommodated as `` walk-in- candidates’ fee is twenty-five thousand naira (25,000.00) only. Candidates with special needs will also register online like other candidates but they must clearly state their disabilities e.g. bind, low vision, spastic, speech, etc. Candidate MUST conclude registration within two weeks of first access to the website during the registration period. They should ensure that their names, gender, passport photographs, dates of birth and subjects are correct. They are also to print the admission notice/photo card as evidence of successful registration which will serve as identification during the examination. The result checker pin will also be on the photo card. Only the digital personal scanner should be used for fingerprint registration. Candidates should view the information VCD before they register for the information. Candidate should note that registration fee is not refundable. Entries must be uploaded with good quality passport size photographs, not "wait and get’’ photographs. The background of such photographs MUST NOT BE BLUE OR RED. The size should be 275 by 314 pixels. Entries with unacceptable passport photographs will be rejected. 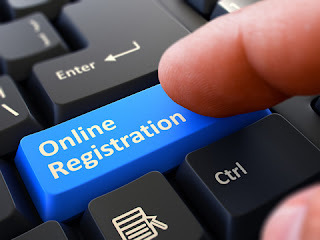 Candidate should study the regulation and syllabuses as well as the timetable for the examination which they can download from WAEC website (https://registration.waecdirect.org/) using the registration PIN. Candidate must go to examination halls in mufti and without arms. No professional uniform of any kind will be allowed in the examination halls. The entire results of candidates who sit the examination in more than one center will be cancelled. Any candidate that comes into the examination hall with a mobile phone and/or electronic gadget will have his or her entered result cancelled. Candidates who engage in examination malpractice will not only have their result cancelled, but may be prosecuted. Intending candidates for the WASSCE FOR PRIVATE CANDIDATES, 2018 - SECOND SERIES, should please note that centers in examination towns, which turn out to be unviable at the end of the entry period, will be merged with a viable center in the nearest examination town.